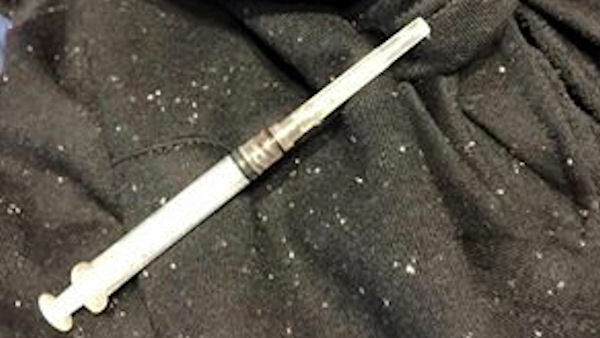 MIDDLETOWN, New Jersey (WABC) -- One shopper at a New Jersey Target was in for an unwelcome surprise when, according to police, a used hypodermic syringe was found in a purchased hooded sweatshirt. The Union Beach Police Department posted a safety alert on their Facebook page on Sunday night, informing their followers of the incident, which happened in Middletown. "This is our community, this is where people shop for their children," read part of the Facebook post. "If you see something, say something. Anywhere, anytime." Police hope this was an isolated incident or freak accident, but they are encouraging everyone to be cautious with their purchases and urging shoppers to report similar incidents to their local police department.